This week, a good thing got even better. Streaming video site Netflix announced on its company blog that it would be providing all its streaming plan subscribers access to its highest-quality 1080p HD streams and 3D titles regardless of ISP. Earlier in the year, Netflix made its enhanced HD streams and 3D titles available only to those whose ISPs had embraced Netflix Open Connect, the site’s own content delivery network. Open Connect delivers content faster, but many service providers refused to play ball with Netflix and implement it. Why? It’s an unfortunate consequence of having the people who produce content also being the people who deliver content to your home. 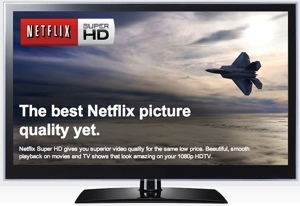 Now, Super HD is available to all, regardless of ISP – provided your receiving device and television are capable of handing the higher 1080p resolution. Your connection will also need to be able to handle connection speeds of at least 7Mbps, so check your Internet service plan. Many DSL customers will find their service is too slow. You can find Super HD available for a number of titles, including the must-watch Netflix originals House of Cards and Orange is the New Black. For more about which devices are eligible to receive Super HD streams, visit the Netflix website. Great article - this is good to know since I am a Netflix subscriber but hadn’t seen this yet. I’ll have to check to see if I can get it.